We are gearing up for a magnificent Spring and wanted to briefly let our customers know what is going on at The Linen Tree. We are always continuing to add exclusive new products to our inventory, and we also have a couple of cool events coming up that you should know about. 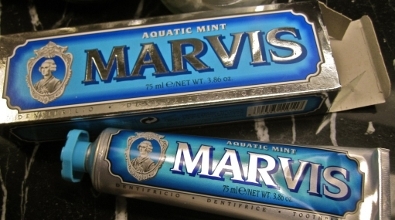 The latest addition to our inventory is Marvis toothpaste – that’s right, toothpaste. But this isn’t just any toothpaste. Imported from Italy, Marvis toothpaste is created using a long and precise, traditional method which guarantees a thick, compact texture which increases cleaning and whitening power and is especially effective in heightening the intensity of minty flavor. Worldly influenced aromas such as jasmine enrich taste, the best of ingredients help to make brushing your teeth more pleasurable than ever before, and the packaging is just nice enough to be left on the counter of an exquisitely styled bathroom. There is nothing else like Marvis toothpaste on the market – we strongly encourage our customers to buy at least one tube, to try it out for themselves. At The Linen Tree we like to let our customers know about the items we sell – where they come from, who they come from, what makes them special. When the opportunity arises, we love to get our suppliers themselves involved – and that is what we are doing over the next two months. Early on the day of this coming March 10th, Gregory Daniel from Diptyque Paris will be at our store to provide a virtual tour of Diptyque’s factory in Paris, to provide personalized consultation regarding home and personal fragrances, and to answer questions regarding both Diptyque and fragrances in general. The following month, in April, American entrepreneur (and linens designer) Nancy Koltes will be at our store for a trunk show. Refreshments will be provided, more details are to follow, and we hope to add some additional events to our slate within the coming months! 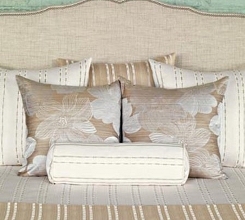 Looking for an easy way to stay on top of upcoming developments @ The Linen Tree – follow us on Twitter. And check us out on Facebook! This entry was posted on Friday, February 25th, 2011 at 10:11 am	and is filed under Official Updates. You can follow any responses to this entry through the RSS 2.0 feed. You can leave a response, or trackback from your own site.